One of the trickiest issues, when you have a small bathroom, is about arranging the proper storage for your dozens of toiletries. 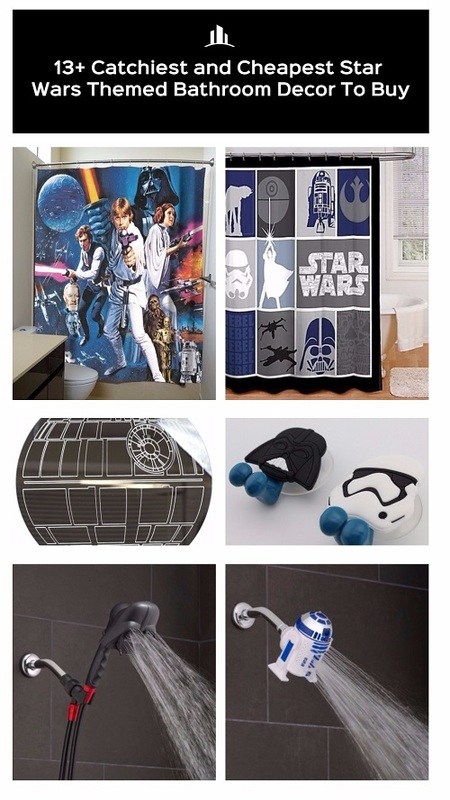 You can’t just get rid of those essential stuff from the bathroom since they have to be easily reached when you do some things in the room. As we know, once you put some storage features inside the room, its overall look will also be highly influenced. 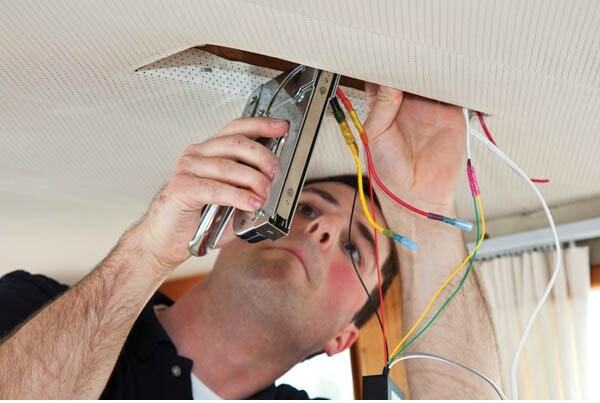 Therefore, you will need to be as smart as possible to provide the adequate storages to occupy your stuff. It should look as beautiful as possible while also provides you the great convenience. 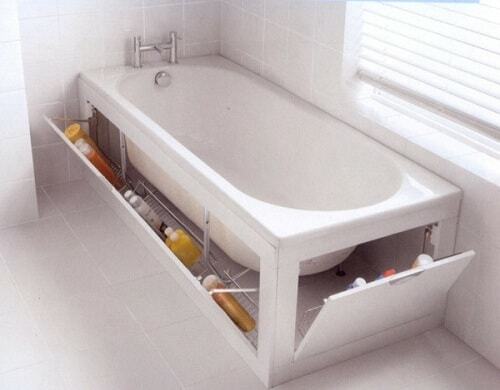 If you experience such problem, here we have some most brilliant small bathroom storage ideas for your inspiration. These storages are totally worth to include to your DIY project list, and get ready to say goodbye to that messy small bathroom! Have fun then! 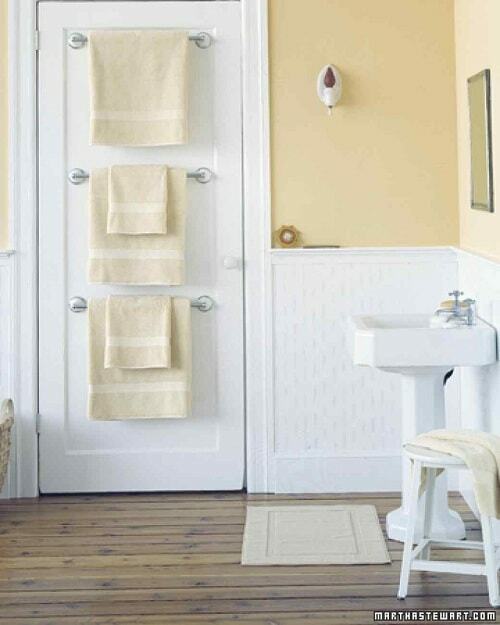 The back of the bathroom door can always be one of the best spots to put your toilet needs neatly and creatively. Here, the vertical towel handlers are assembled to the door which then makes the bathroom look sleek and the towels are much easier to reach at your convenience. 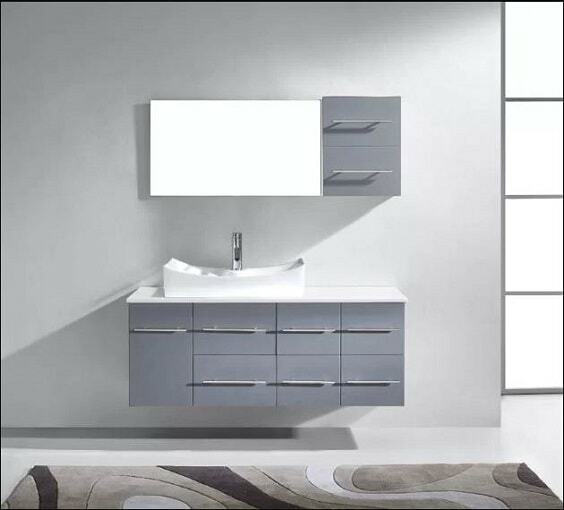 Small vanity is not enough, choose the one which has the built-in open shelf underneath the sink. You can use the shelf to put the large basket as shown in the picture above to put bunch of your stuff. Go copy the look of that white vanity with the wicker square basket to add some vintage boho touch to your small bathroom. This is one of the most favourite creative storage for small bathroom storage hacks that you must widely find on the internet. Hanging wooden shelves that are mounted on the wall are such a convenient storage option that totally worth to try. Pay attention to the height distance between each shelf to make sure you have an adequate storage space. Same as the wall mounted shelf, this ledge styled space saving storage is very effective in dealing with the small bathroom. The best place to position this kind of shelf is right below the mirror. 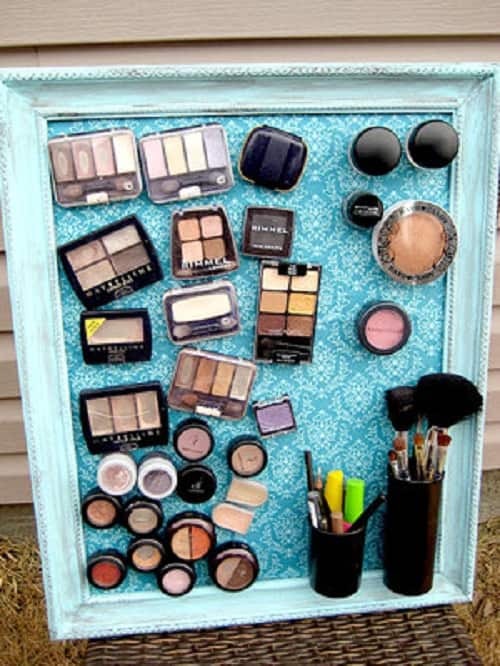 Such way will ease you to reach any essential toiletries or cosmetics when you are getting ready. 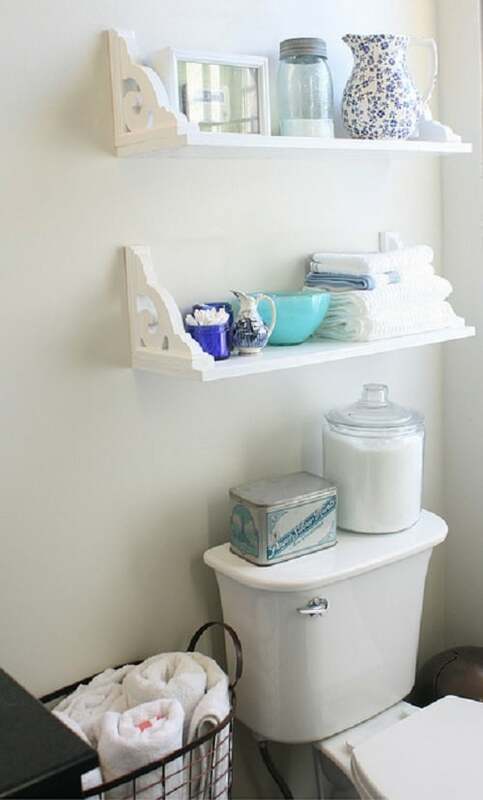 Spice racks can be surprisingly used as the clever small bathroom storage hacks. You can arrange your toilet needs neatly at your convenient. The spice rack design allows you to hang your small towels as well when it’s hung upside down. 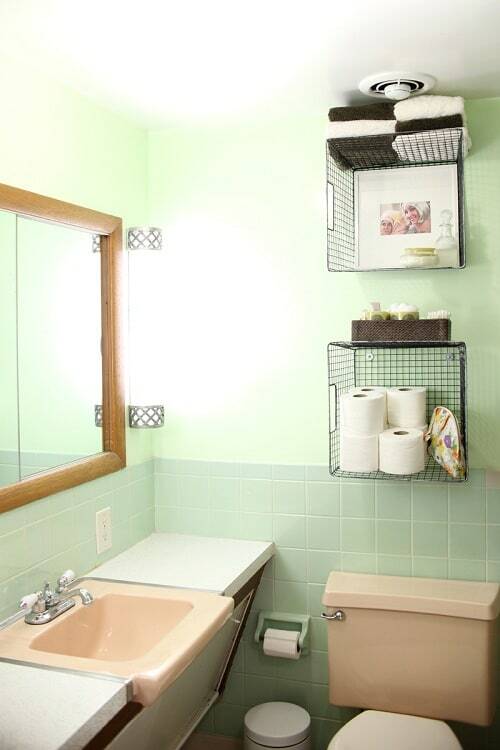 The spice racks storage also adds a unique touch to the bathroom. 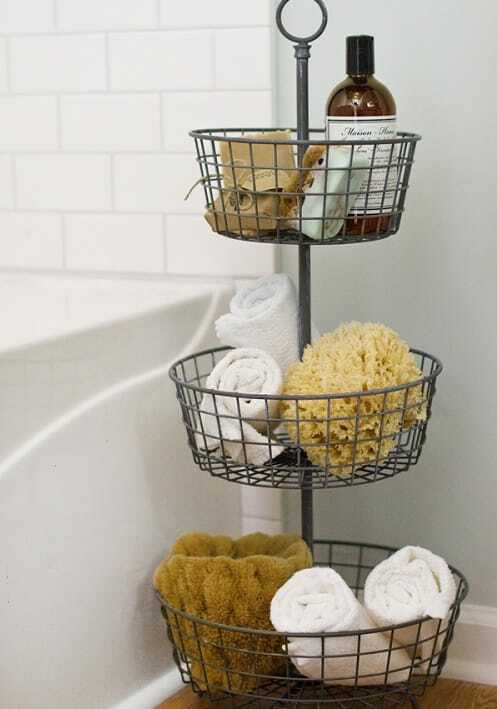 If you need something that looks way more creative and practical, you can try to hang a mesh wire basket for the small bathroom storage hacks. The storage also allows you to put much bigger stuff inside. The side of the basket can also work as the additional storage. By applying this hack, you can also have a bit of industrial look in your bathroom. 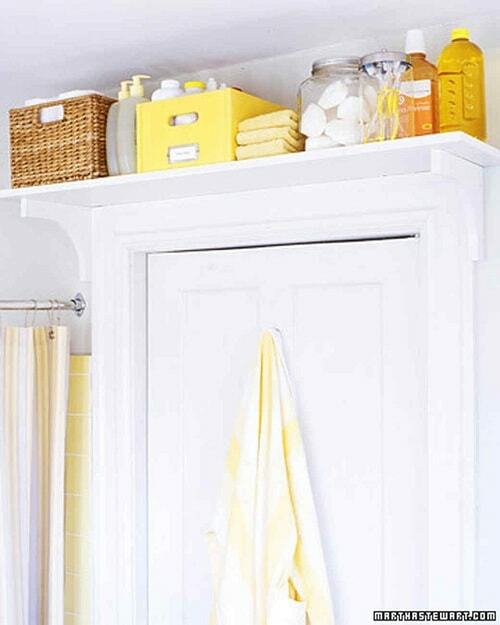 Here’s the super cute small bathroom storage hacks for your lovely bathroom. The Mason jars are used as the storage for some small toiletries for your convenience. What catchy here is those hose clamps which are used to hang the jars. It makes you easy to replace the jars anytime. You will need some mason jars, hose clamps, lumber, and wood stain for this easy project. 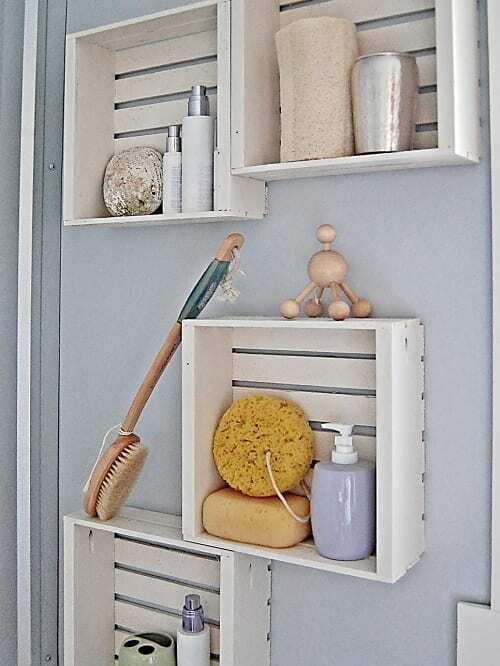 The design of this creative DIY bathroom shelf will give a wonderful farmhouse look to your bathroom layout. 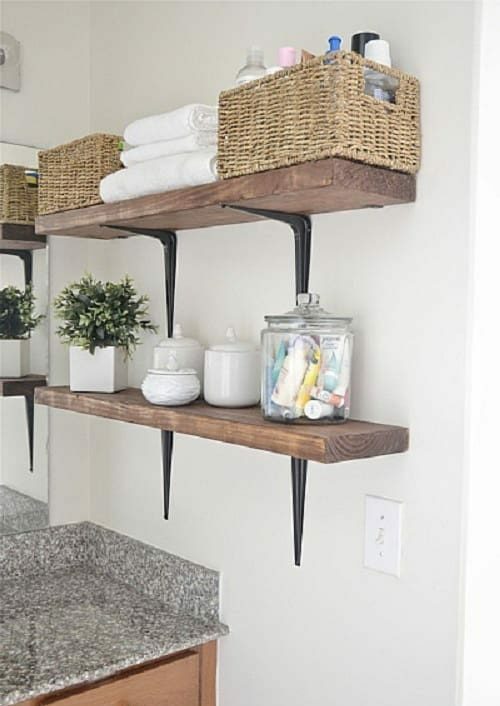 The beautiful small bathroom storage hacks made of the lumber and decorative brackets. Here, the brackets are flipped which then create a very mesmerizing shelf design. The shelf is very useful to put some stuff like jars, boxes, and pile of towels. 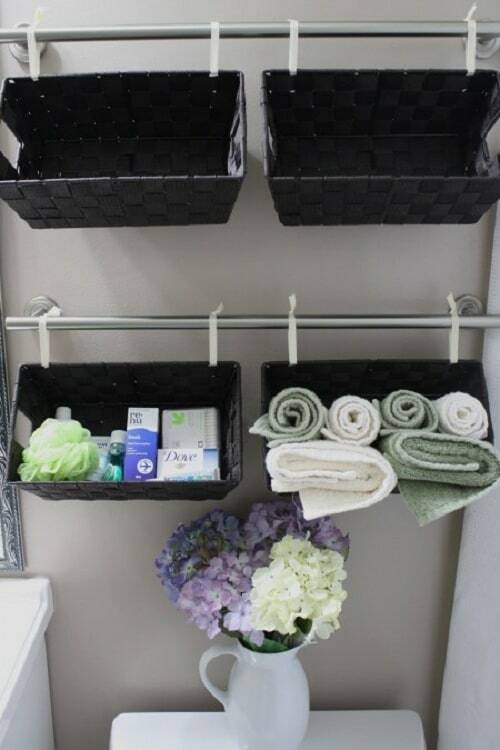 This small storage bathroom hacks basically use the towel bar as the support with the plastic basket as the storage. 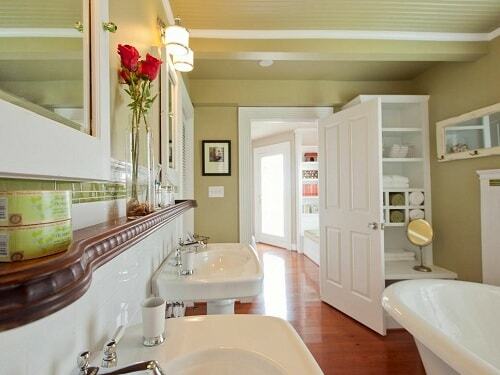 The basket provides such a spacious space to put lots of your various toilet needs. It is definitely a creative way in using the towel bar as the bathroom feature. 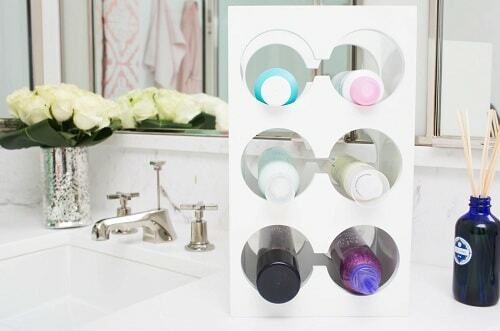 The worth-to-try small bathroom storage hacks to put your metallic toiletries all in place by using the magnetic knife rack. You can keep and use those smalls steely things easily anytime in your bathroom. 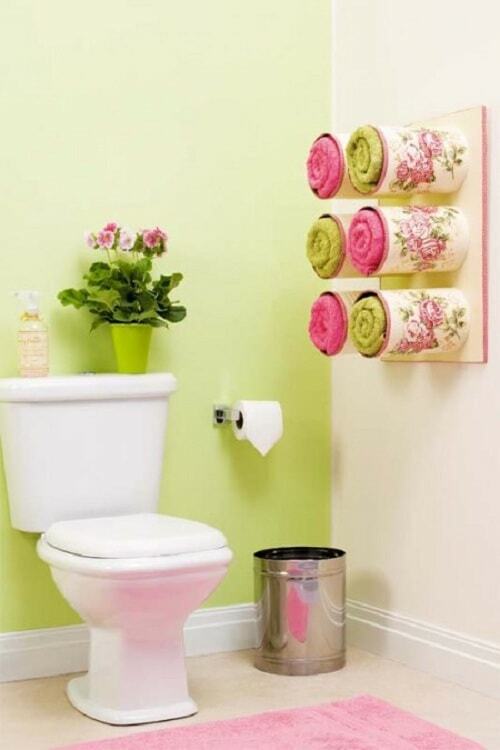 This is surely an effortless and cheap DIY bathroom storage project. 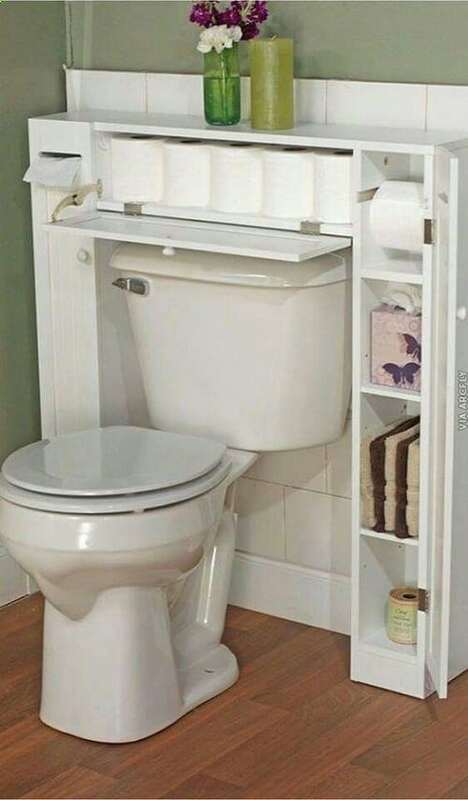 The smart space saver cabinet which provides you lots of spaces to put your various toilet needs. The cabinet surrounds the toilet which doesn’t only save lots of space but also makes every single thing much easier to reach. 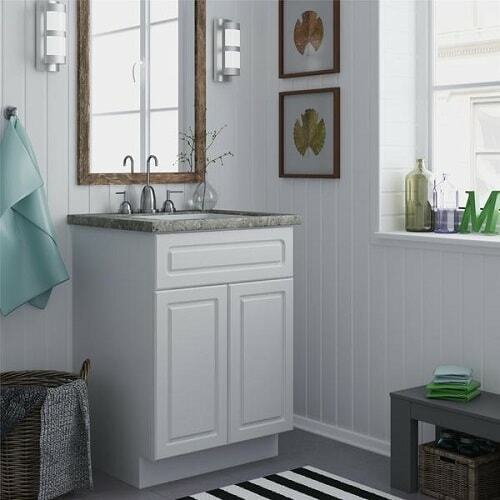 You can copy this design for your handy DIY bathroom remodeling plan. The pretty toiletries holder which made of small buckets that hung together by a rope. this creative design is very simple to make while definitely very useful for your daily needs. 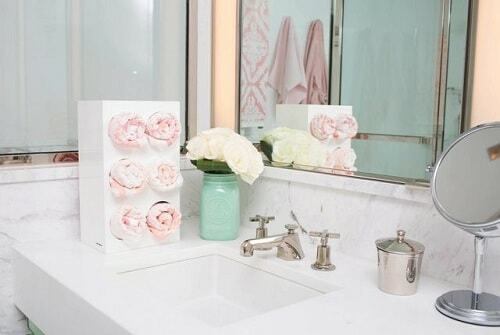 The rack will add a unique look to the bathroom beautifully. Call this small bathroom storage hacks as the easiest and cheapest one that you can make in no time! You will only need some used plastic caps and velcro sticker to install this one in your own bathroom. To make it look more eye-catchy, you can spray paint the caps with your favorite colors as you wish. 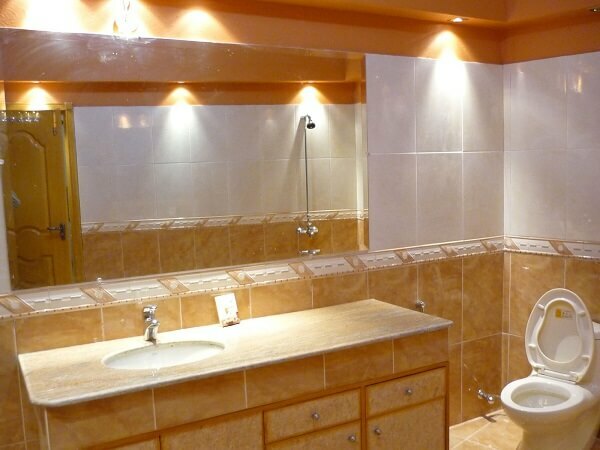 The thing that you have to understand in arranging the storages for small bathroom is that you have to examine every inch of the space that you can use. Here, the small space above the door is used for the storage which is spacious enough to handle many of your toiletries. By the brackets and lumber, you can create this one easily. 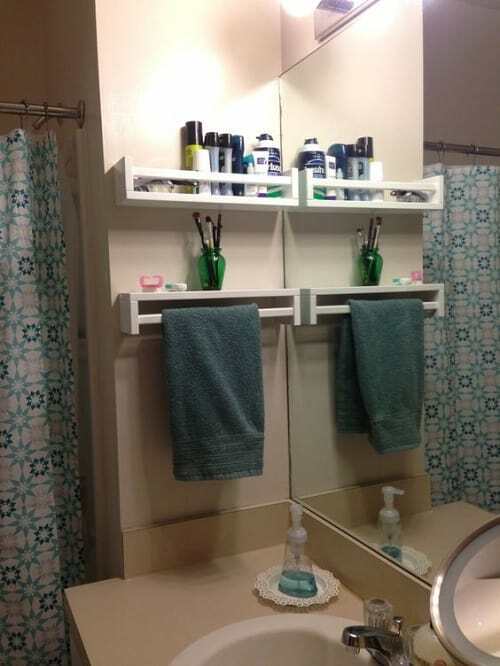 Yes, a ladder can be so useful to hang some of your toiletries or even to hang some portable racks. 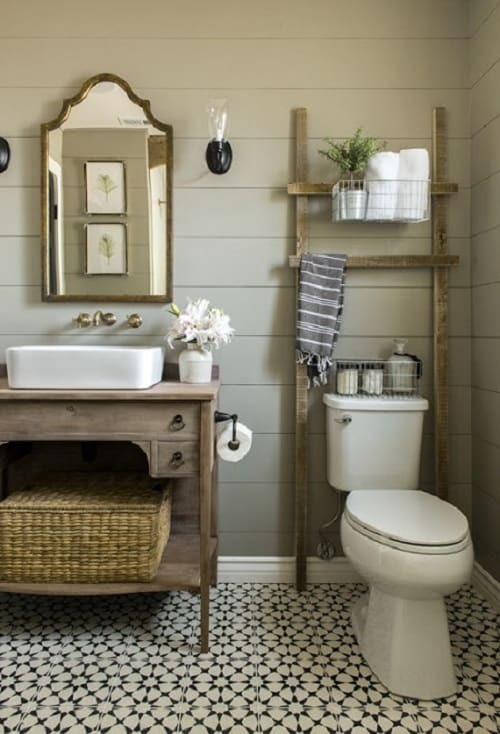 It is totally effortless, and you can give a rustic touch to your bathroom in a quite unique way. 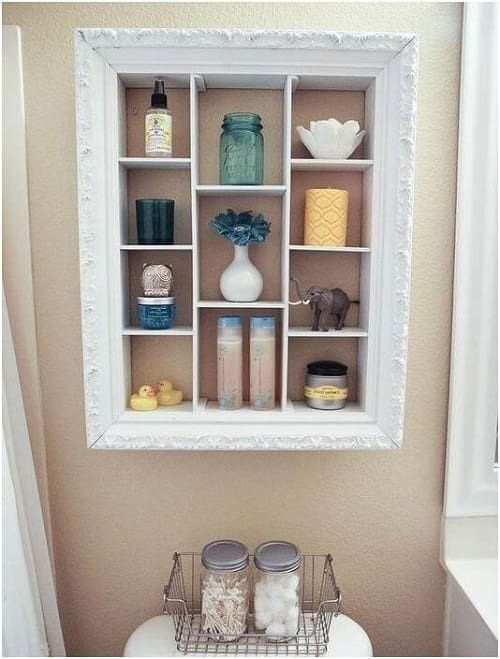 If you are willing enough to create this small bathroom storage hacks, you already get one of the most sophisticated and creative DIY bathroom storage. You can save some bottles hiddenly and, of course, neatly. 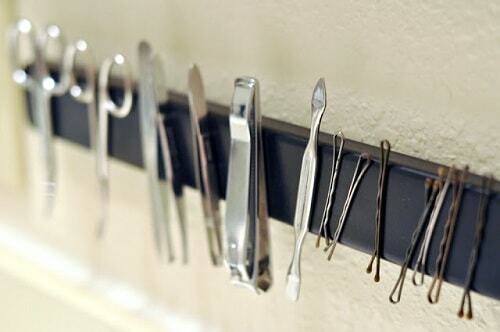 Another small bathroom storage hacks that made of the magnet to save lots of space of the room. Now, the wider magnetic feature is used to put more stuff on the storage. 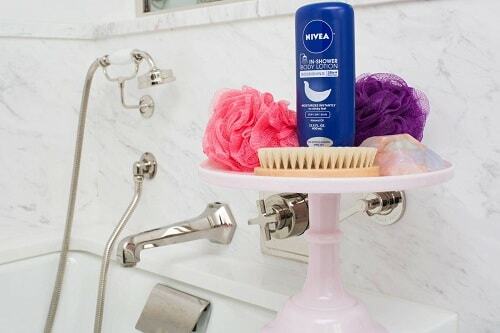 The surprising small bathroom storage hacks made of the lace hair ties and the suction cups. 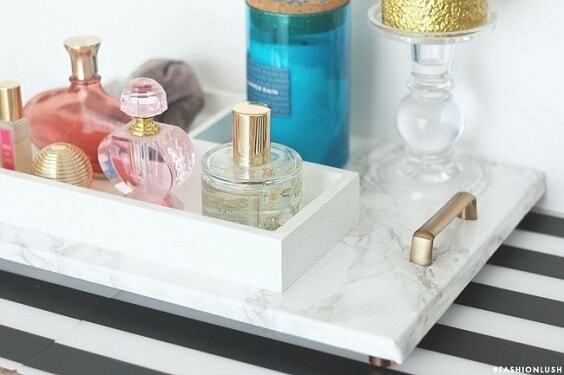 It can be a good alternative rather than scattering your bottles on your vanity top. 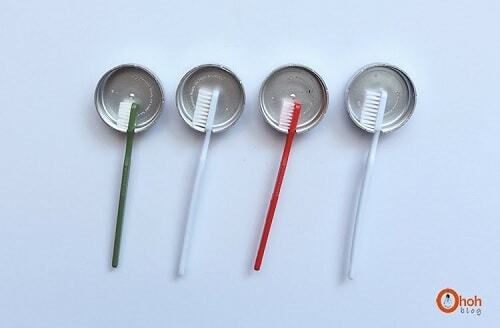 A fun small bathroom storage hacks that you can easily make just by using some tin cans and board as the basic material. You can decorate your own can based on your taste freely! 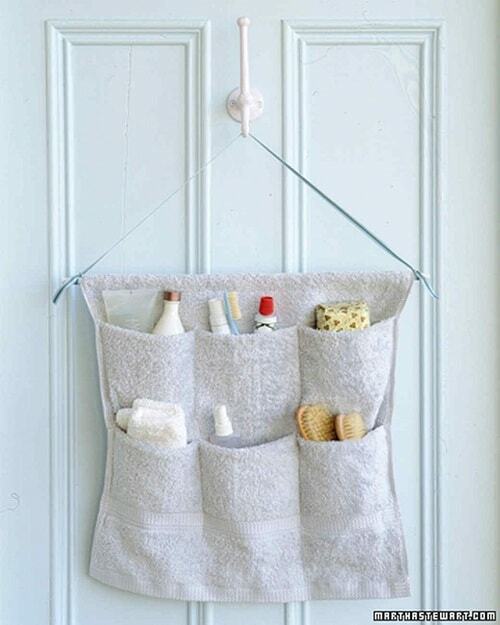 Find some used towels to create this clever small bathroom storage hacks. You’ll need to do some sewing steps to put the towel altogether. The materials include hand towel, straight pins, dowel, and grosgrain ribbon. The smart bathroom rack made of the used crate that is like a piece-of-cake DIY project. You can purchase some small crates then paint it with your favorite finishes. 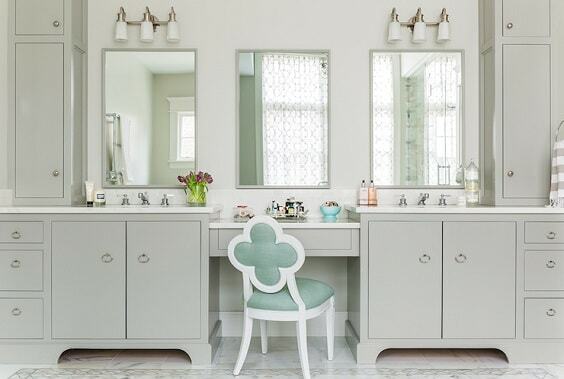 An eye-catchy small bathroom storage hacks in circle design which can be such a useful spacious space to store towels, tissues, bags, or some other toilet needs. It can be a very nice option of the box or basket storage. 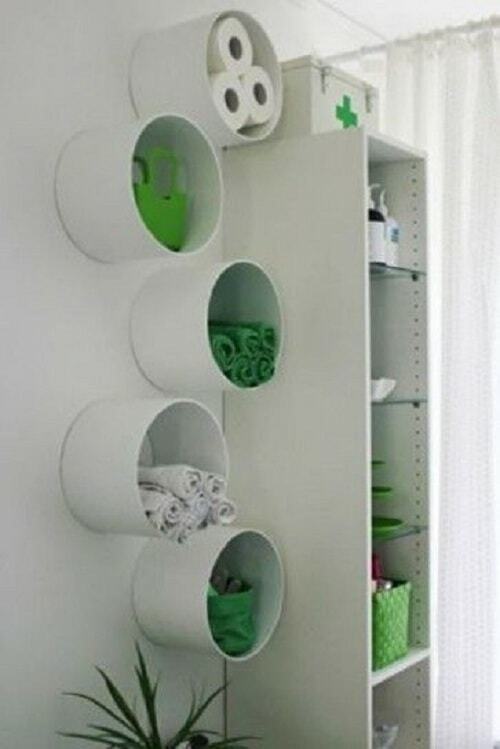 You can repurpose those hat boxes to create this adorable bathroom storage. Using the fruit basket to keep your toiletries neatly. This vertical fruit basket rack can handle quite lots of your daily bath needs. The basket gives another gorgeous touch to the bathroom decor while providing a useful additional storage at the same time. 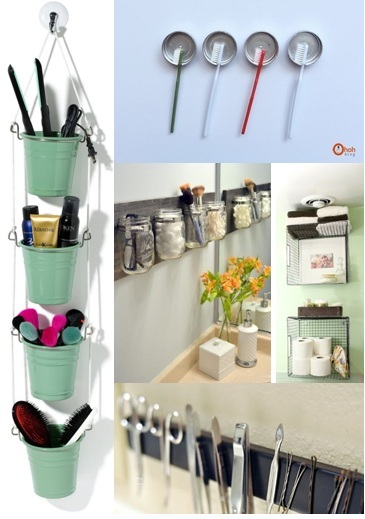 Go grab some PVC pipe and plastic tie straps to create this one in your own bathroom. This one can be an additional storage to put your razor or toothbrush when there is no space left to put them. 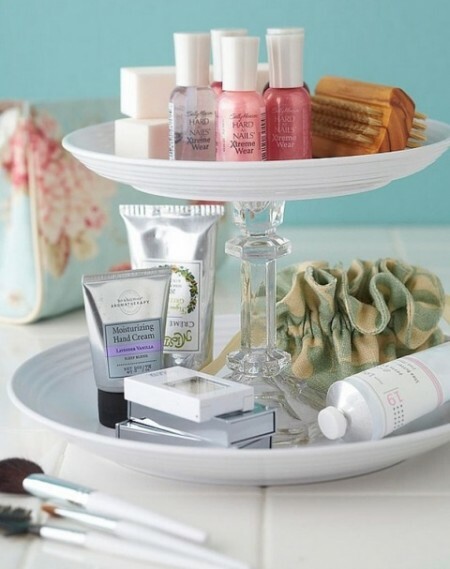 The pretty small bathroom storage hacks that use a mini cake stand to store some of the toiletries. It is such a smart idea to use other stuff as the bathroom storage. By placing this cake stand storage on your bath tub side, you can easily reach your needs for your bath time’s comfort. 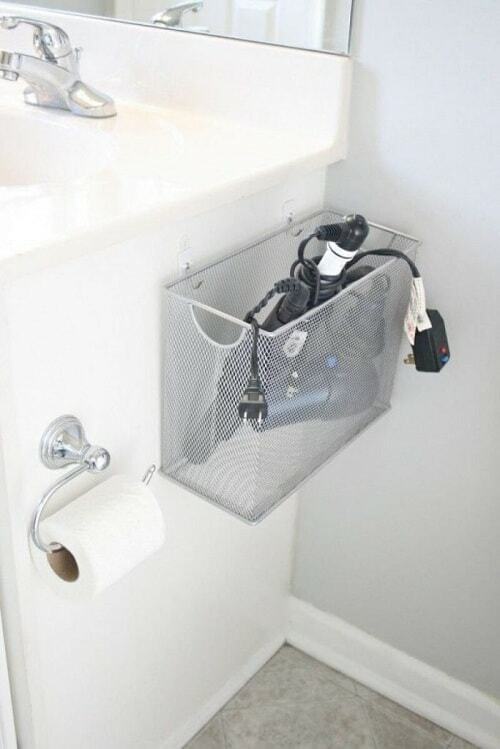 Another clever way to use ‘non-bathroom stuff’ for small bathroom storage hacks. 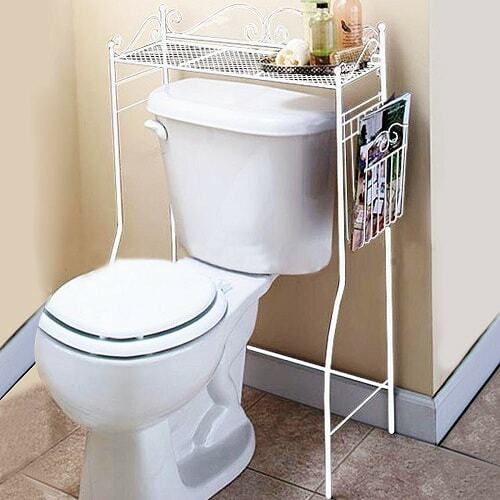 Here, the wine rack is used to provide additional creative space to store your toilet essentials. You can use it to store your shampoos, toothpaste tubs, hand towels and tissues. A metal file box is used as the bathroom appliances to provide additional storage in a small bathroom space. Mounting the box on the side of the vanity is a good idea that will make you easy to reach your stuff every time you need them. If you think that the cake stand doesn’t work and you prefer to create such storage style on your own, you can use two plates and a candle holder. Besides you can make it based on your own preferred design, it’s also way more fun to do! You’ll just need to stack those materials, stick them to put them together! 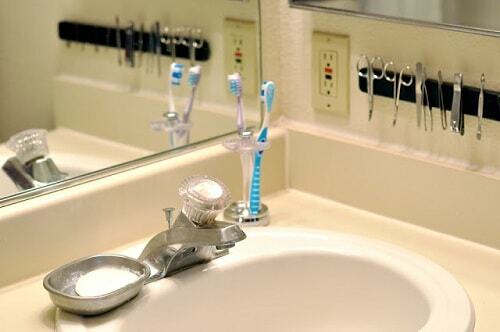 Benefitting the space around the toilet area is always a great idea to handle the storage issue in a small bathroom. here, the decorative metallic rack is used to keep some small toiletries, magazines, and hand towels in place. An adorable decorative storage made of an old photo frame which is equipped with the wood frame to provide some spaces to store your toiletries. 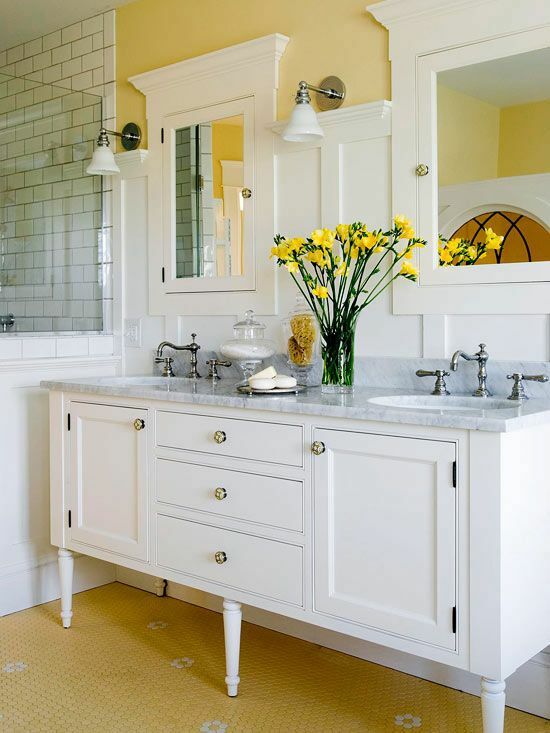 It will beautifully add a vintage look to your bathroom decor. A good option to make an invisible storage in a small bathroom is by creating a hidden additional rack behind the cabinet doors. 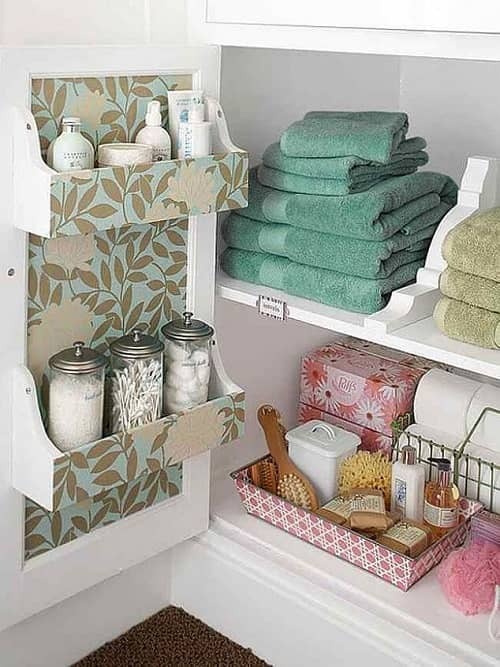 It’ll help to add more storage for your toiletries without taking up those visible spaces around the room. Used shipping pallet is one of the most popular materials for the DIY project to create lots of things that are very useful for you. 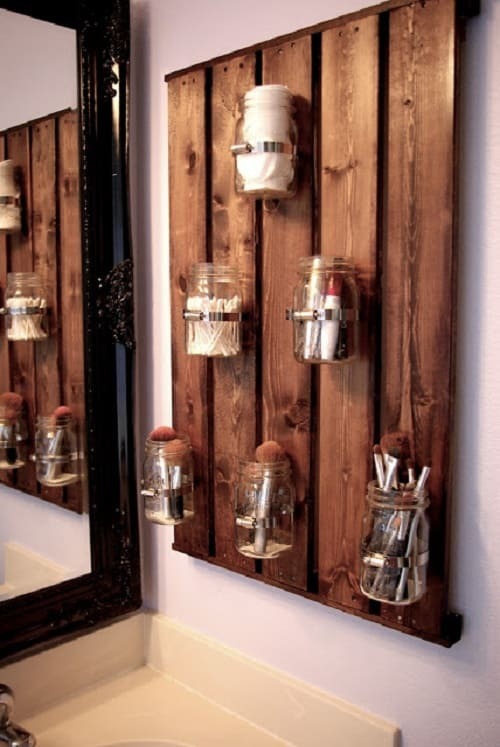 Here, the disassembled pallet is used as the base to hang some mason jars beautifully. 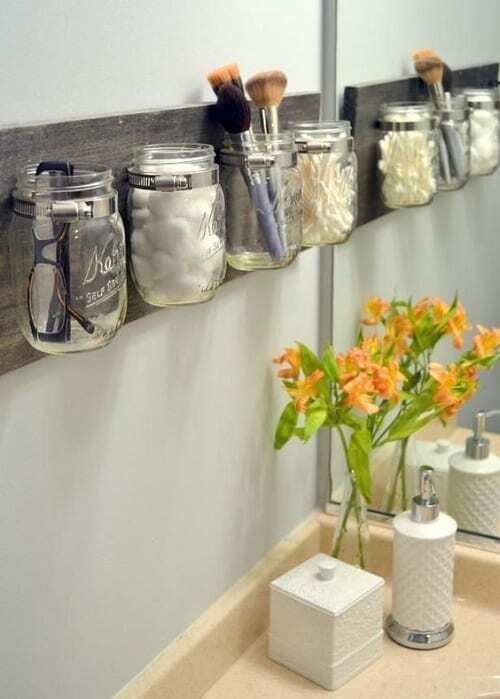 The more jars that you can mount, the more storage spaces that you’ll have for your toiletries. Go buy some clips and attached them to your shower curtain rings to make some convenient additional storages. 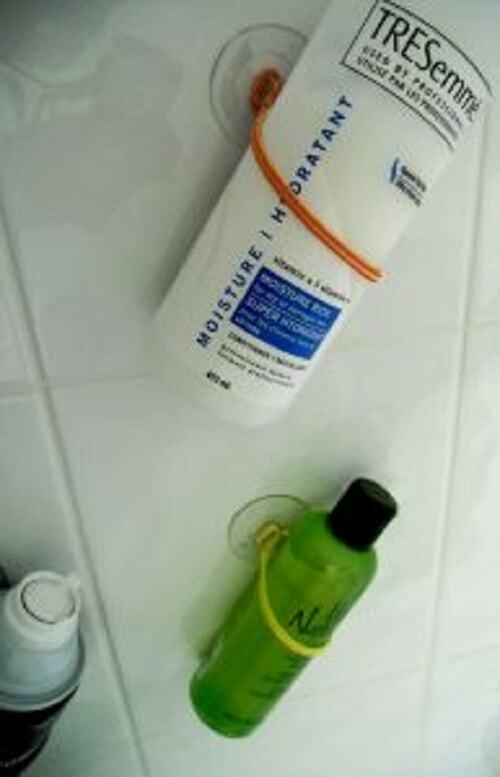 You can use it to hang your facial foam, conditioner, and lotion. It’s very easy to make, doesn’t cost you a lot, and totally worth to try. 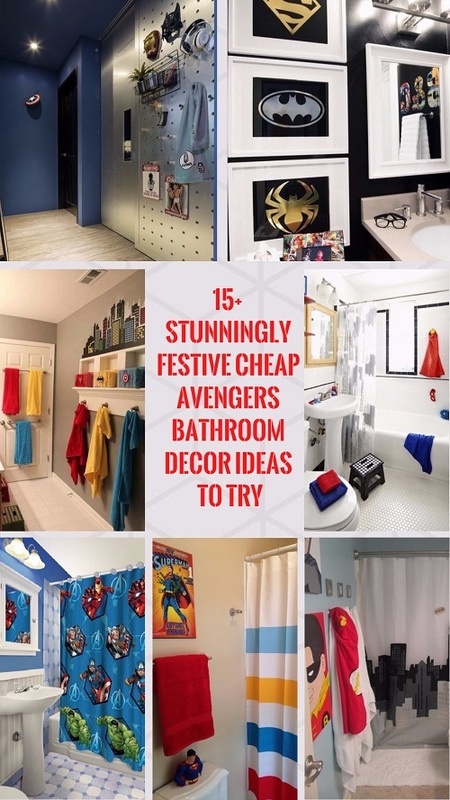 This one is for you who want to make your own creative small bathroom storage hacks as one of the focal points of your bathroom decor. 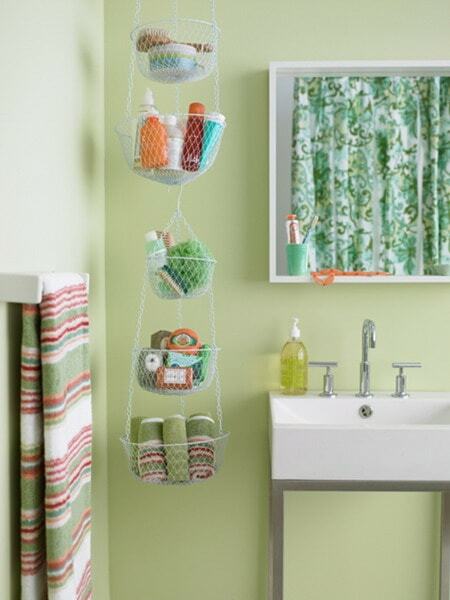 Several wire baskets are hung by the chain that creates an easy-to-reach and a lovely extra toiletries storage. 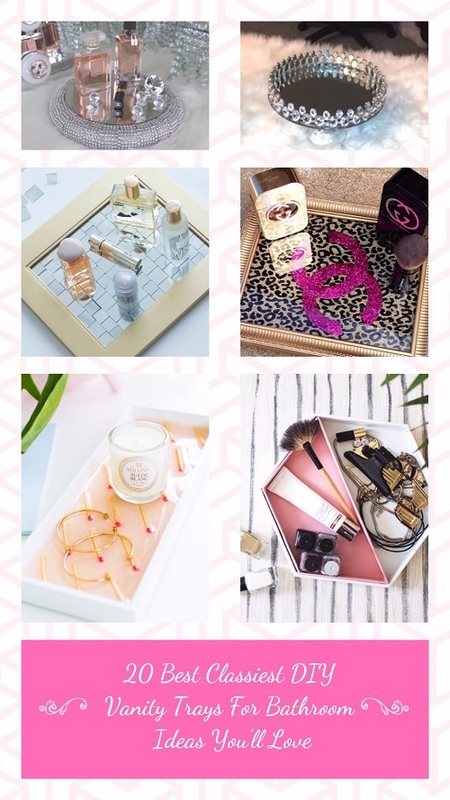 So those are some genius small bathroom storage ideas that look adorable and suitable to handle your toiletries. 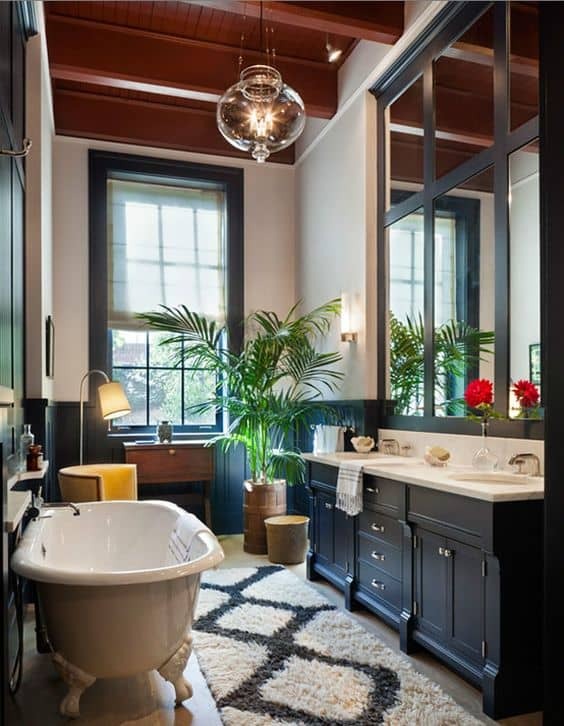 Copy some of those ideas for your next bathroom remodeling project and you can have a beautiful neat small bathroom in no time!